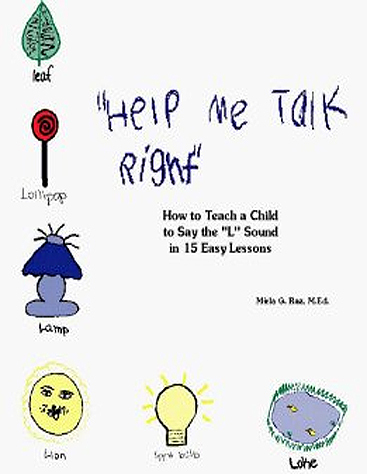 Since the publication of my first book, How to Correct a Child’s Lisp in 15 Easy Lessons, I have been thrilled with the of popularity of the “Help Me Talk Right” books. 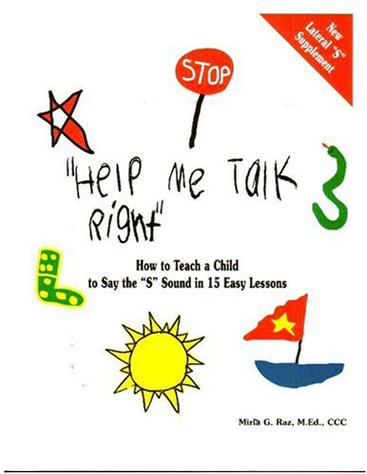 Each Help Me Talk Right book is a complete therapy program for the “S,” “R,” and “L” sounds. Preschool Stuttering: What Parents Can Do provides parents with important information for understanding stuttering during these most important years. Resources for the correction of /s/, /l/, and /r/. Assigning speech assistants specific lessons in the book. Time consuming direct supervision of assistants is greatly reduced, freeing up a large chunk of professional time. Parents can do the books’ practice sessions as carryover and reinforcement of goals accomplished in speech therapy. Or, parents can do the lessons on their own; periodic rechecks are all that are need. To train students of communication disorders in articulation therapy. 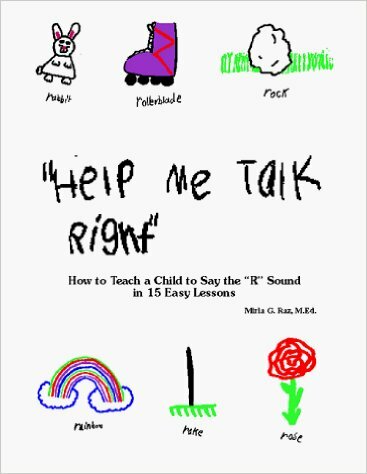 Each Help Me Talk Right books includes all the worksheets needed, step-by-step instructions, suggestions for fun activities, the goal of each lesson, the time needed to do each lesson, and the materials needed. The prelesson of each book gives specific information and instruction on using the book and working with the child such as praise, rewards, and how to make the lessons fun. I know that these books will make your lives easier. They have mine! Changed My 8 Year Old’s Life! Half way through this book, my 8 year old niece could pronounce every R like a champ! She was a little too old and too smart for some of the lessons and the “rewards” part of the book (giving treats for getting it right, etc.) but the choices of exercises and words to master the types of Rs were genius. Speech impediments should be nipped in the bud. I wish I bought this years earlier.